Uncommon cultural food frightens many American palates. It can be difficult to eat out of the box, but Royal Kebab in Citrus Heights provides a gateway for timid tasters to explore the food of Armenia. A kebab is, traditionally, cubed or ground meat skewered on metal or wooden sticks and roasted over a fire, usually served with pita bread and a salad of vegetables marinated in lemon juice. Royal Kebab offers a clean, comfortable place to enjoy the cuisine and the employees are as warm as the fire that cooks their delicious kebabs. Armenian-born Andronik Muradyan and his family run and own the eatery and enjoy exposing Sacramento to the food of their home country. Lamb is often a common menu item for Middle Eastern restaurants and Royal Kebab does it well. Muradyan recommends the lamb chops, but adds that all their food is better fresh from the flame and says is best enjoyed immediately after they cook it. They marinate their lamb chops in a lemon and lime juice mixture with Greek yogurt, bell pepper and spices including paprika and cumin. 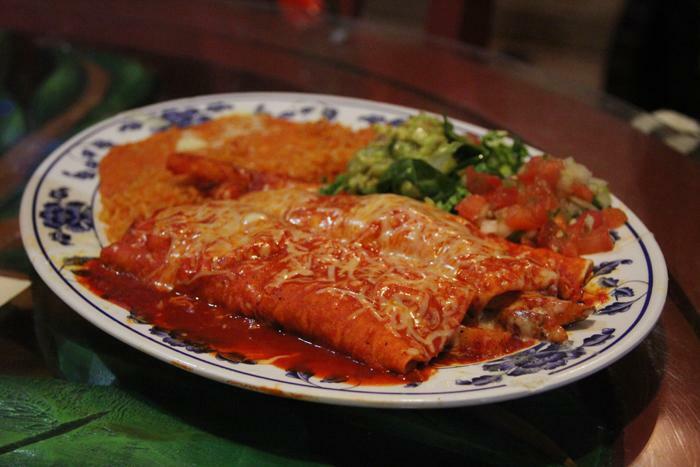 The result is a juicy, savory, tender cut of meat that isn’t available in just any place in Sacramento. 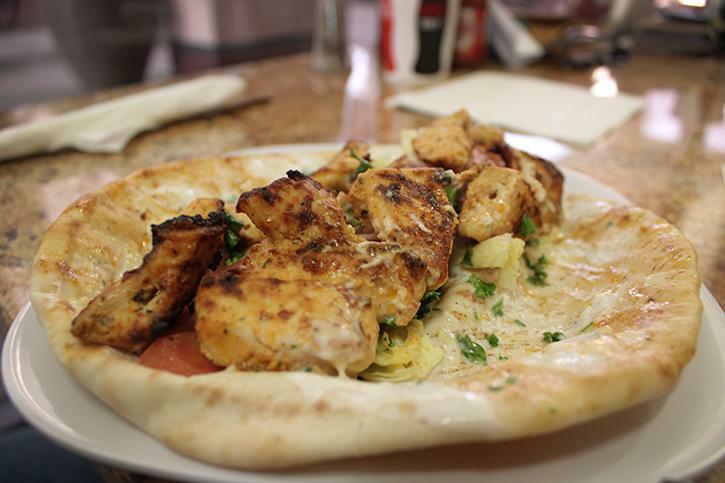 They also serve chicken breast, accompanied with rice and a cucumber-tomato salad, or in a flatbread wrap. The chicken is spiced and roasted perfectly. All items are served with unlimited baskets of pita bread and a yogurt sauce made with citrus juices, parsley and olive oil to dip or pour over your choice of entree. This small space is tucked away in a shopping center off of Greenback Lane on the east side of Sunrise Boulevard. 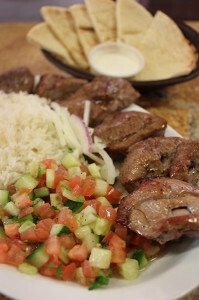 Royal Kebab located in Citrus Heights serves lamb marinated and spiced with cumin, paprika, bell pepper, Greek yogurt and lemon juice and cooked under an open flame oven and served with rice and a tomato and cucumber salad. 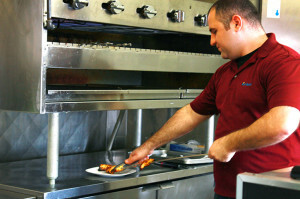 Armenian native “Andy” Andronik Muradyan removes chunks of fire-roasted chicken breast, the restaurant’s bestseller. 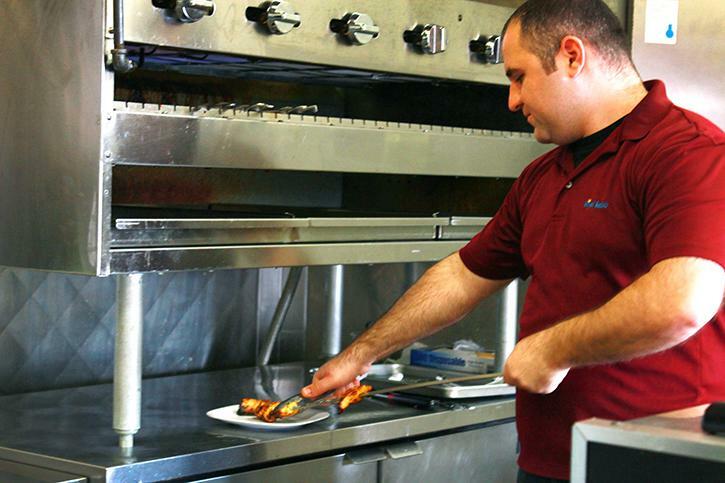 Muradyan and his family have owned Royal Kebab for more than two years. Be the first to comment on "Kebab a crown jewel at Royal Kebab"